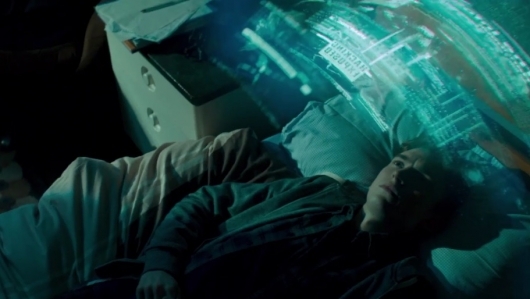 A trailer has been released for a movie titled iBoy, which is a Netflix original. The movie stars Bill Milner and Maisie Williams, who is best known for her work playing Arya Stark on HBO’s Game of Thrones. The movie follows a teenager who survives a vicious attack on he and his friend, but not without it changing his life drastically. When he awakens from a coma, he discovers he has strange new abilities to get used to, abilities which he will use to get revenge on the attackers. Continue below for more on iBoy and to watch the new trailer. Starring along with Milner and Williams is Miranda Richardson and Rory Kinnear. Milner has previously starred in Son of Rambow, Locke, and X-Men: First Class. In addition to Thrones, Williams has also starred in Gold, The Falling, The Book of Love, and Doctor Who. The movie is directed by Adam Randall (Level Up), from a script penned by Joe Barton (Humans, Our World War). It’s based on the book of the same name by author Kevin Brooks. iBoy arrives on Netflix globally beginning on January 27th.